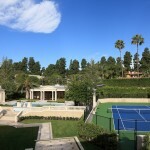 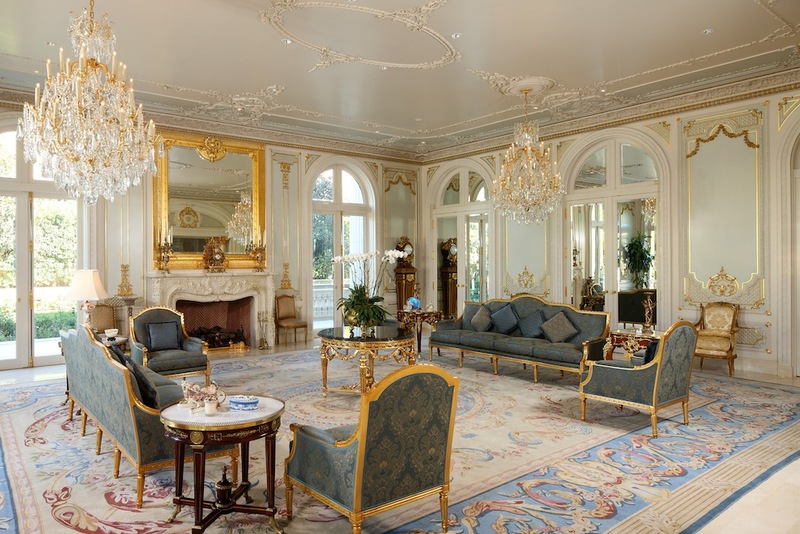 Set on nearly two acres, this magnificent estate on storied Sunset Boulevard is the epitome of European elegance. 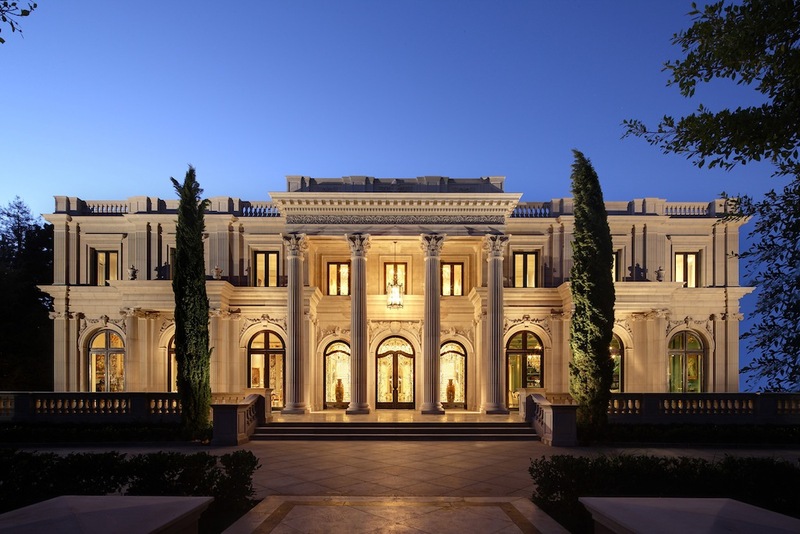 From the moment one enters through the private gates, the residence impresses with an unparalleled blend of Old World beauty and new, state-of-the-art construction in over 35,000 square feet of living space. 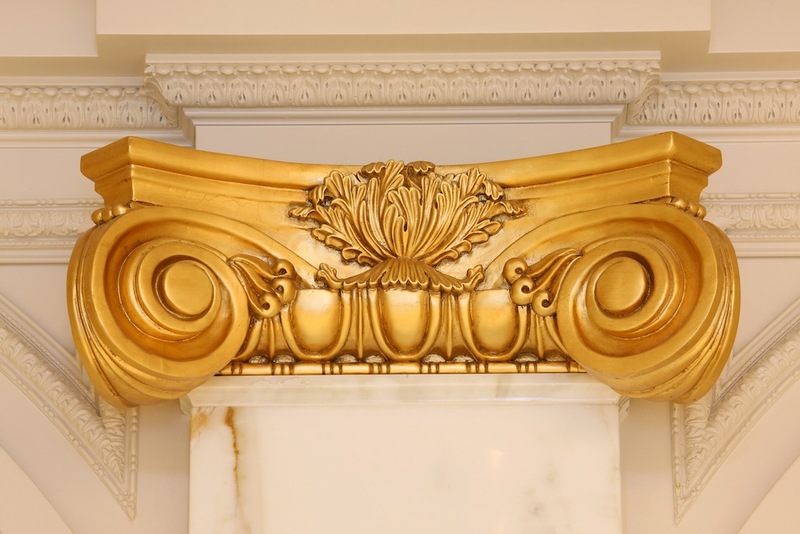 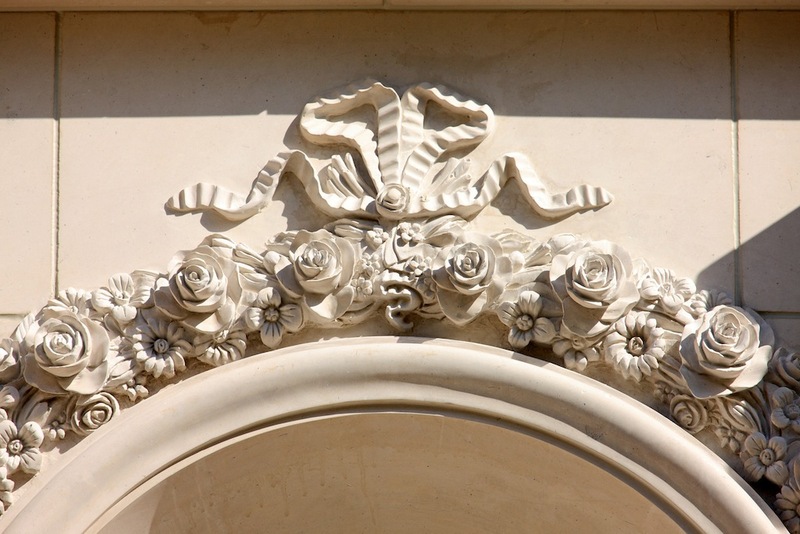 A masterpiece of authentic architecture and craftsmanship, the estate reflects a rigorous adherence to French Palladian and American Beaux Arts architecture that is unmatched today. 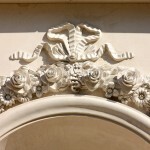 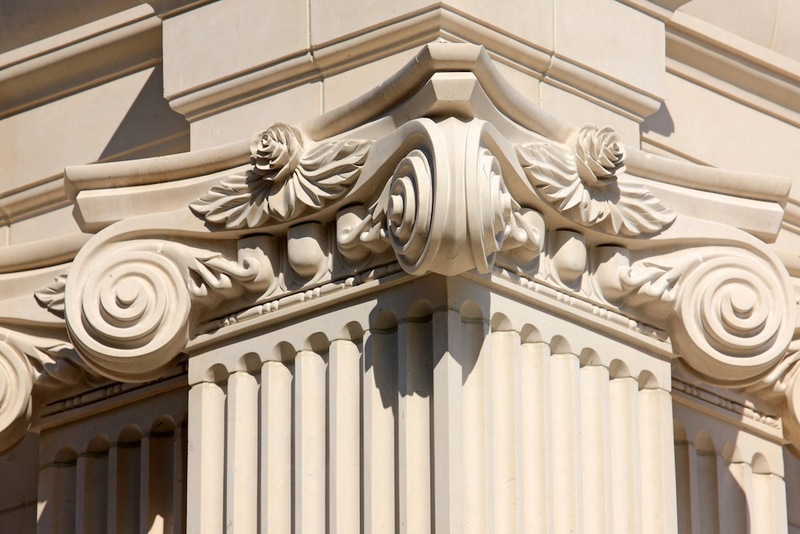 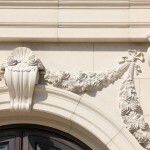 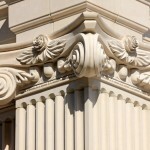 Ornate hand-carved imported limestone lines the exterior and columns. 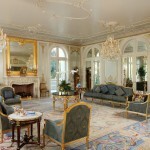 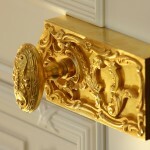 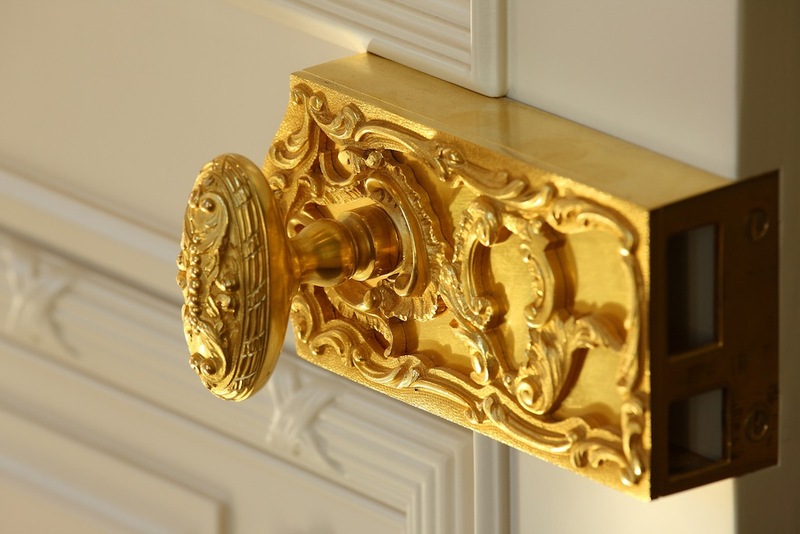 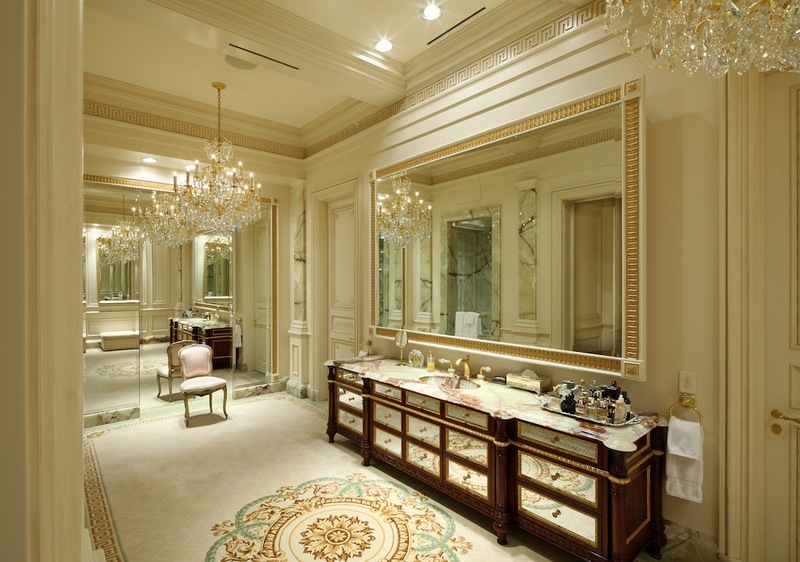 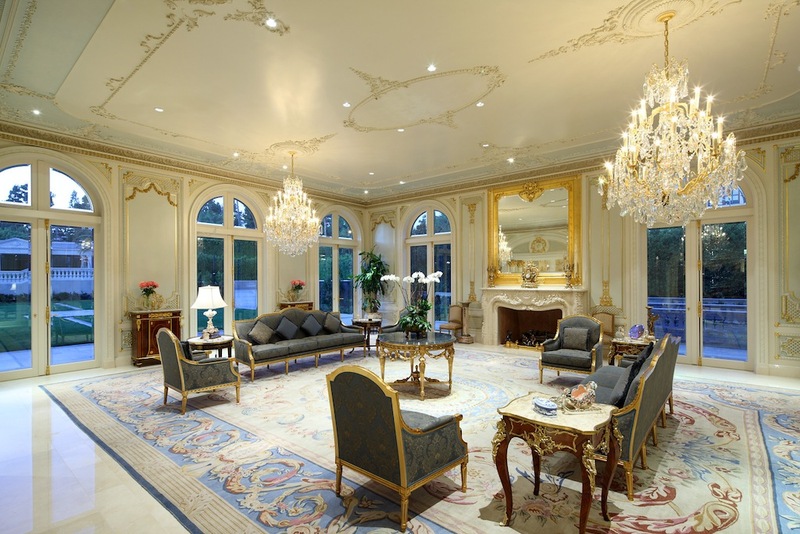 Inside, the residence mirrors the Palace of Versailles in both grandeur and custom detailing. 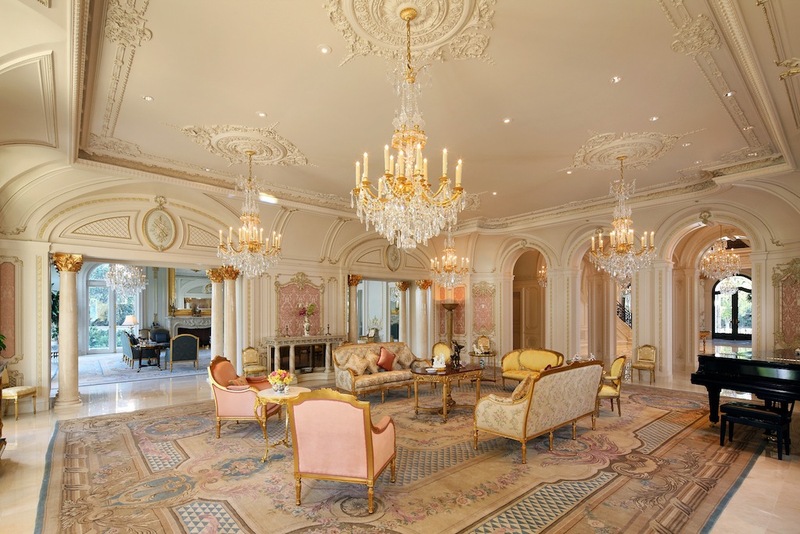 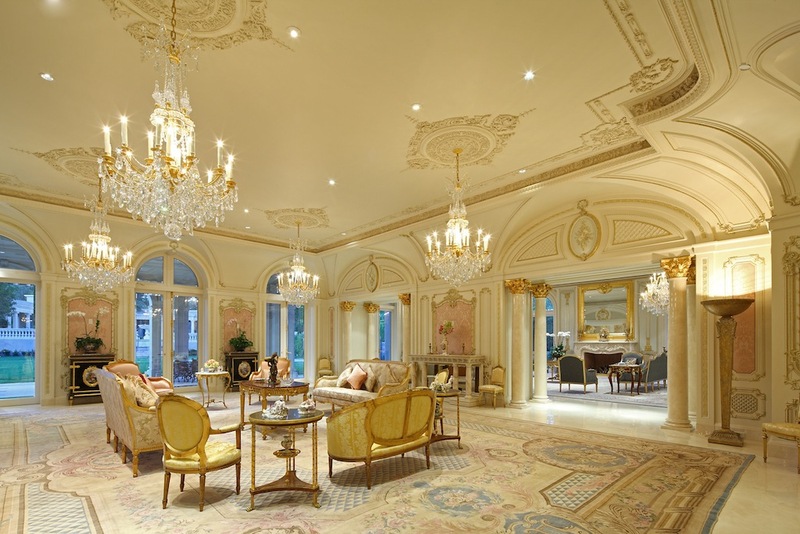 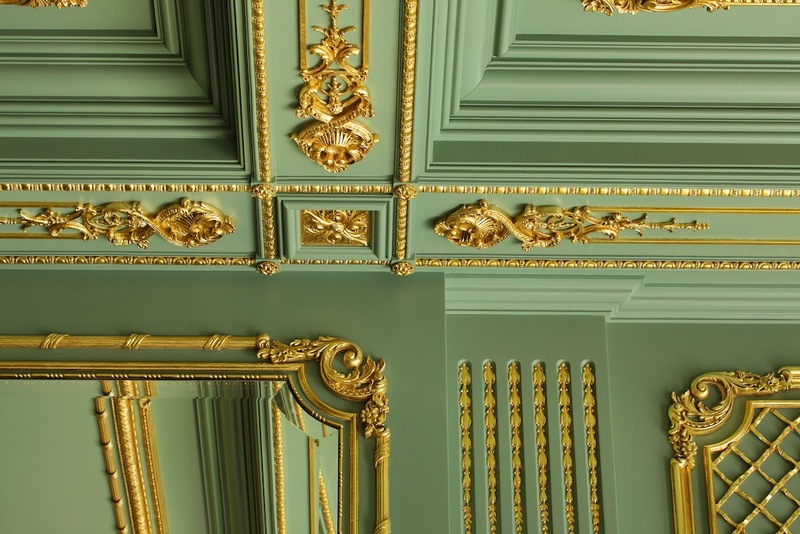 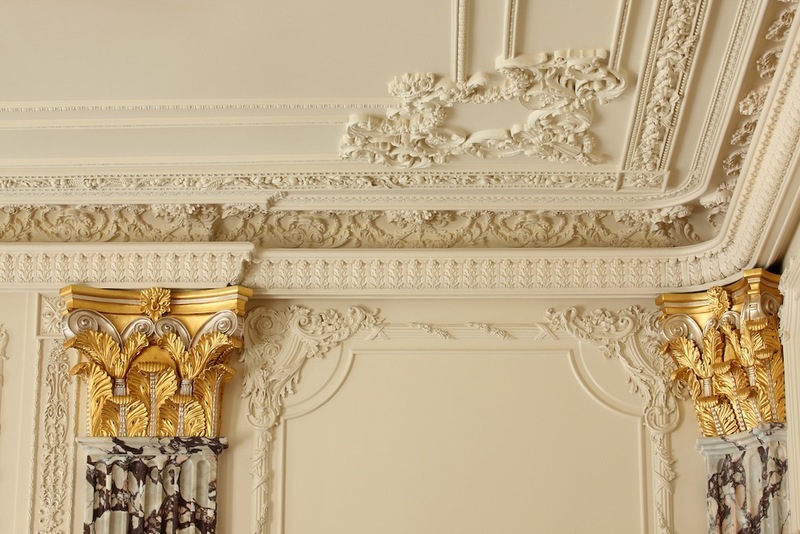 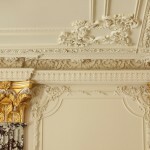 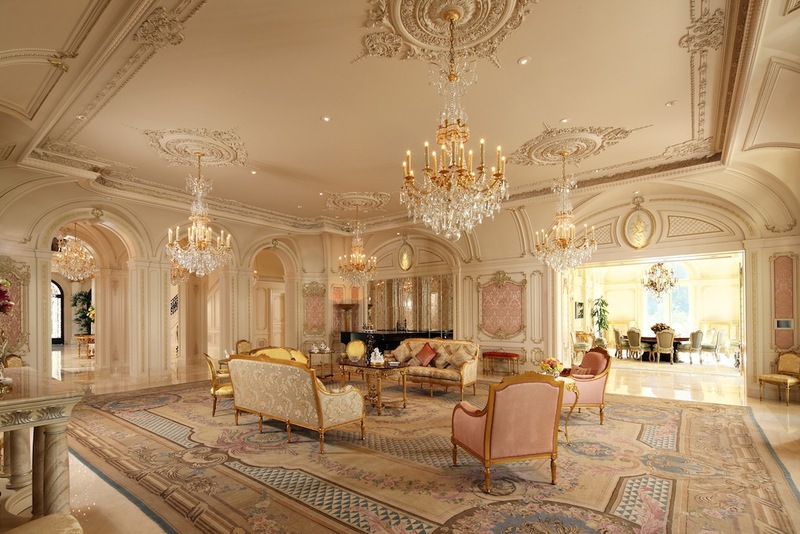 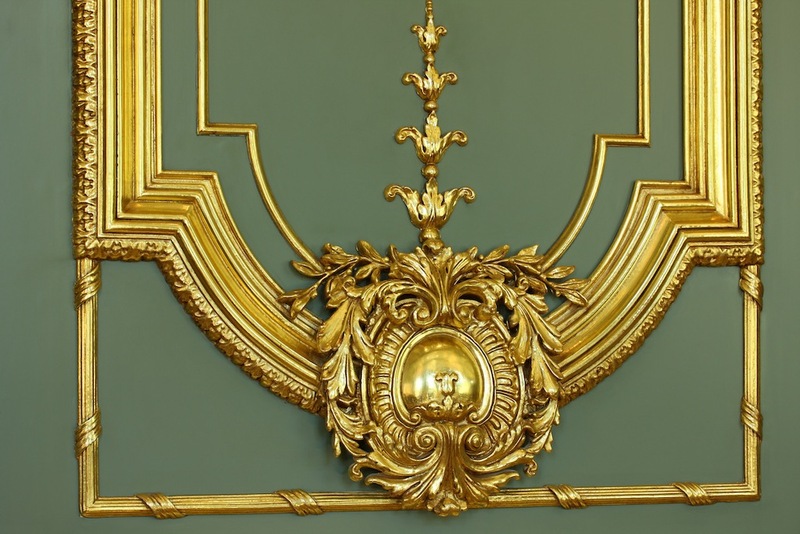 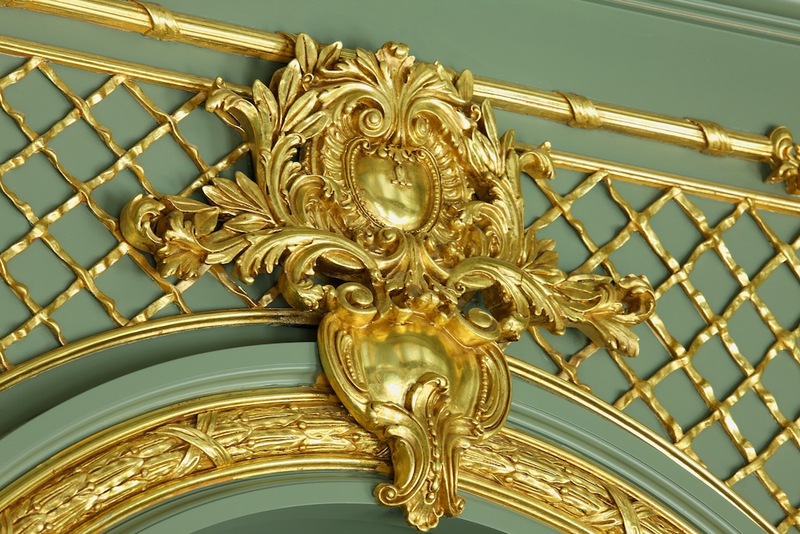 Imported French chandeliers and sconces, onyx marble, 24-karat gold gilding, hand-picked marble flooring, and the largest collection of French interior moldings crafted by J.P. Weaver echo the classic chateaus of the past. 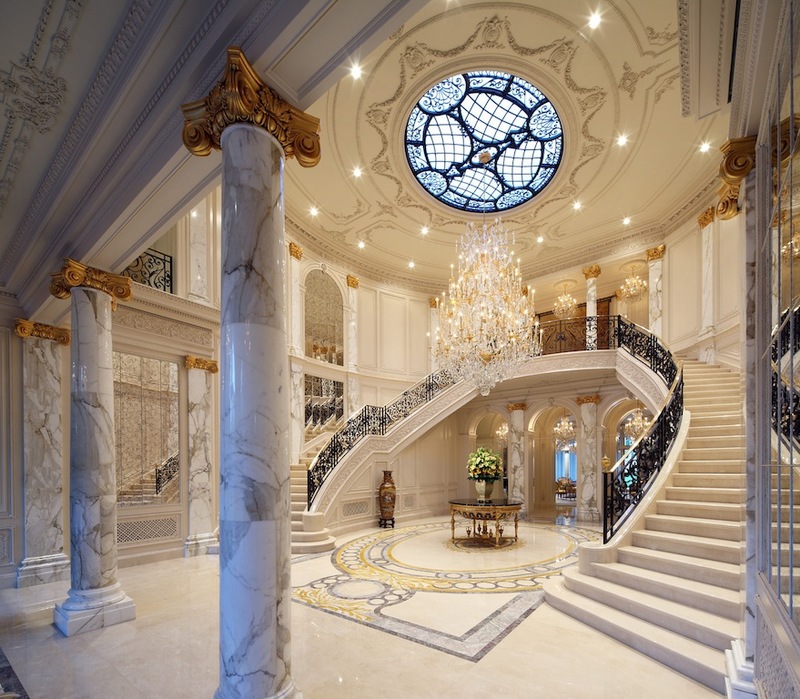 The opulent two-story entry welcomes guests in grand fashion with a double marble staircase, marble pilasters and marble columns with antique mirrors, and a skylight. 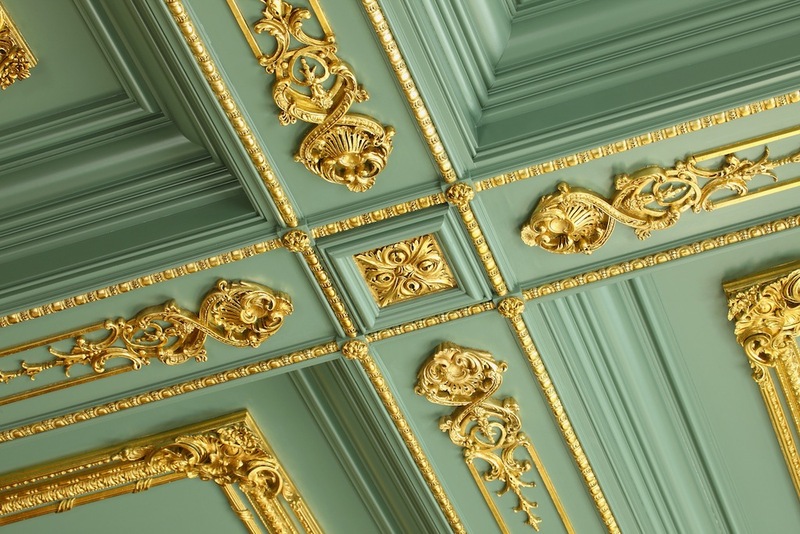 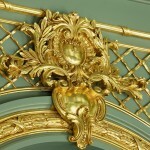 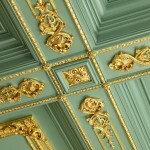 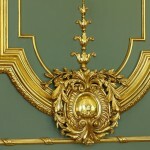 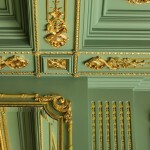 Dramatic 24-karat gold gilded walls and ceilings crown the library. 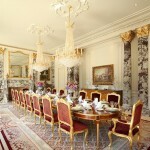 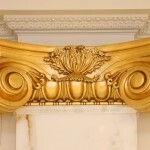 In the formal dining room, elegant Calcutta Viola marble adorns 17 columns and pilasters to create an air of refinement. 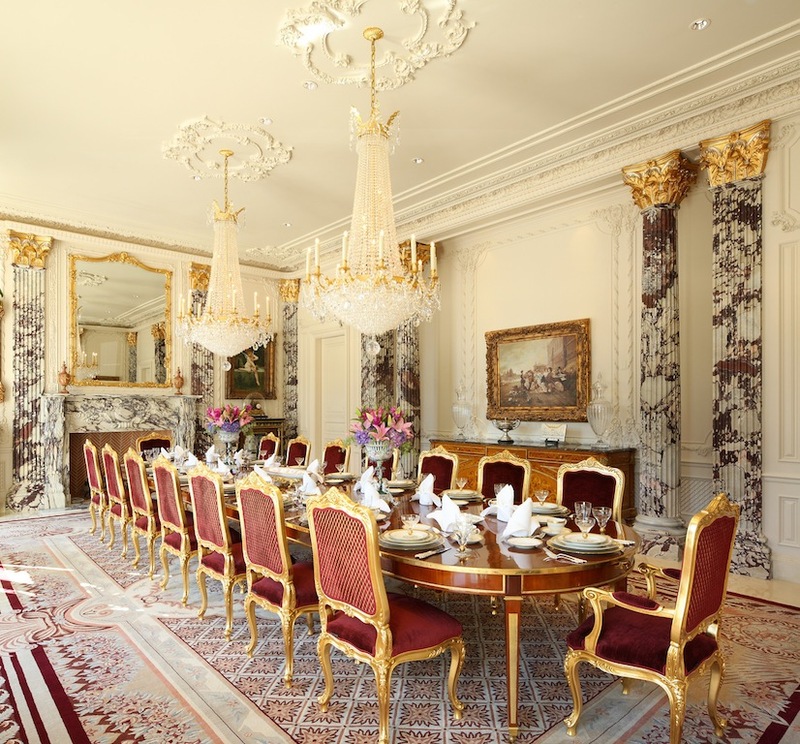 Adjoining the dining room is the butler’s pantry and gourmet cook’s kitchen, which includes a 150-square foot marble preparation island, commercial-grade refrigerator, and state-of-the-art appliances. 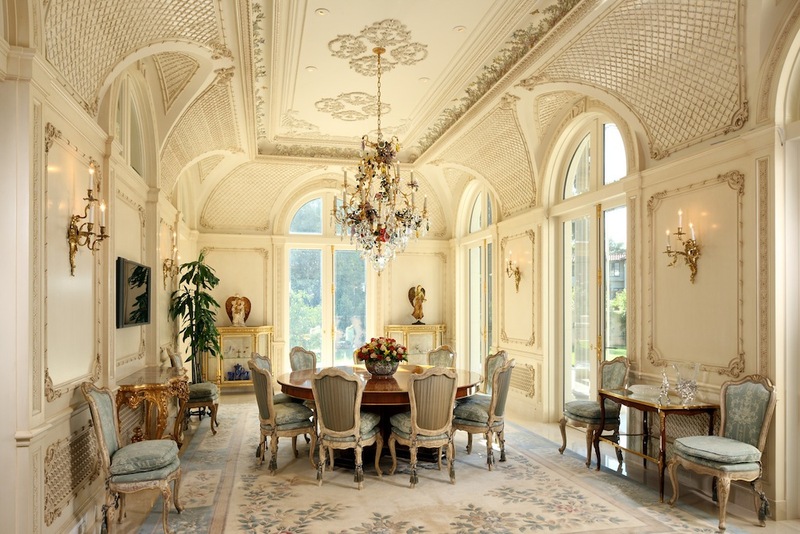 The spacious family room leads to a breakfast room, which opens to a beautiful outdoor loggia. 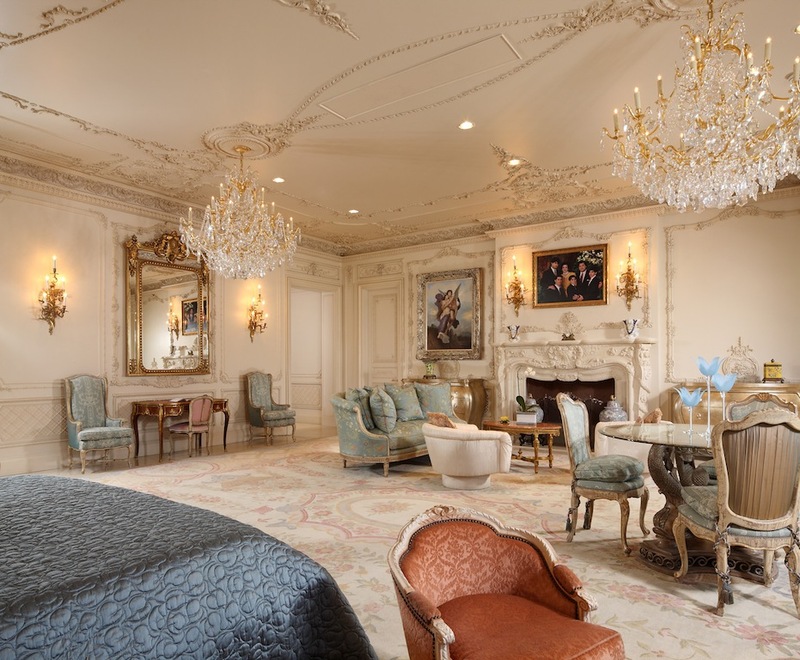 Perfect for parties big and small, the 800-square-foot music room features custom disappearing pocket doors and A/V equipment that can serve a single DJ or a multi-piece band. 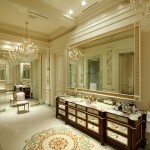 Overnight guests may also enjoy their own private suite with a bedroom and bath on the first floor. 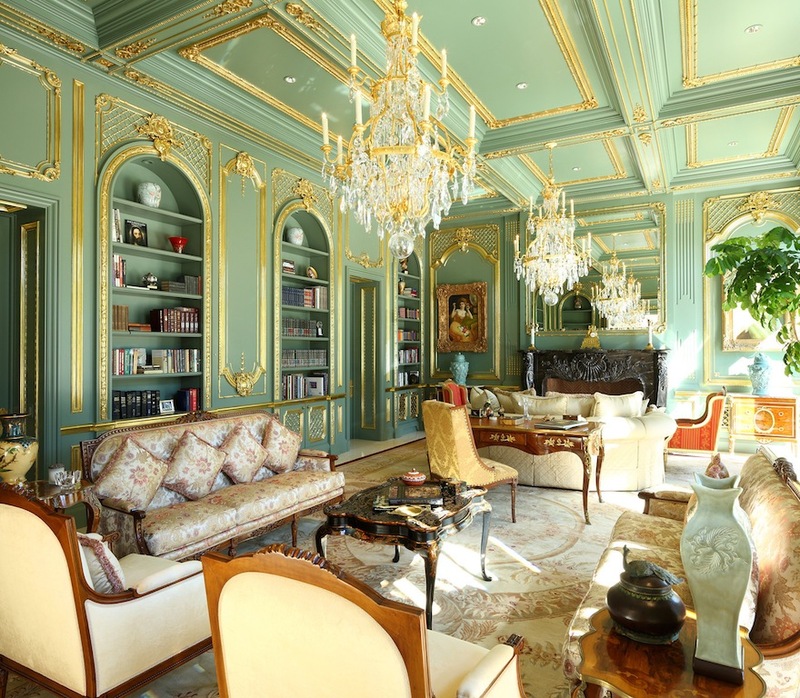 Speciality Items: Built in 2010, 2 Acre Lot, 24-Karat Gold Gilded Walls/Ceilings in Library, Antique Mirrors in Columns, 150 Sq. 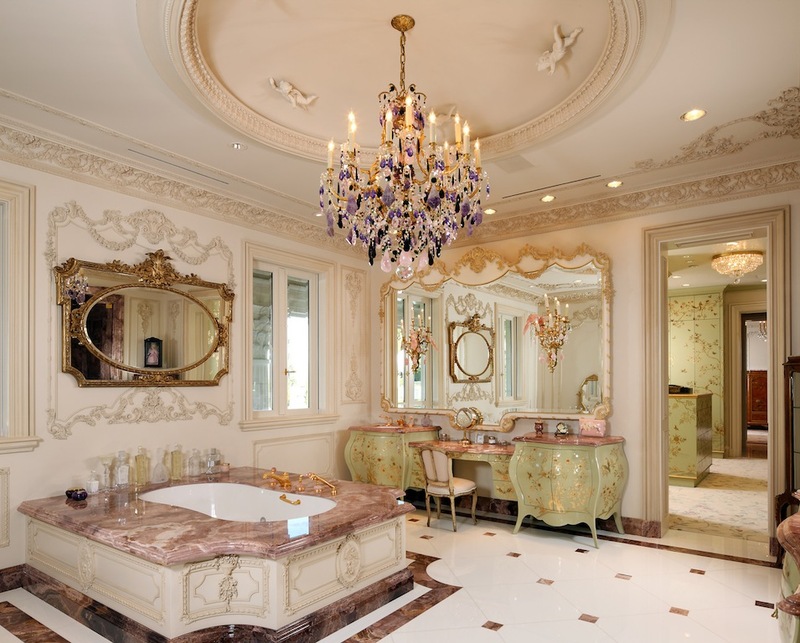 Ft. Marble Preparation Island, Commercial Grade Appliances, Elevator, Underground Parking for 8 Vehicles, Mosaic-lined Saline Pool, Tennis Court, Italian Cypress Trees, Full Staff Quarters, Steam Room, Sauna, Jacuzzi, Pool Pavilions, 800 Sq. 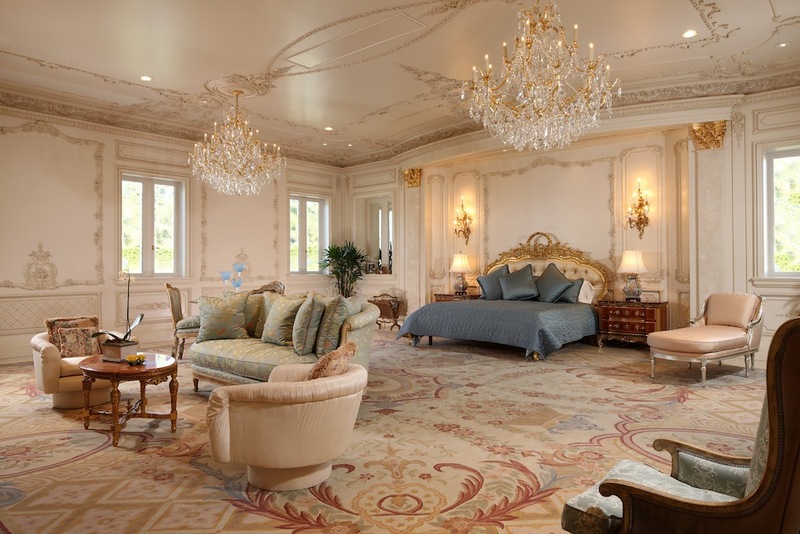 Ft. Music Room with DJ Area. 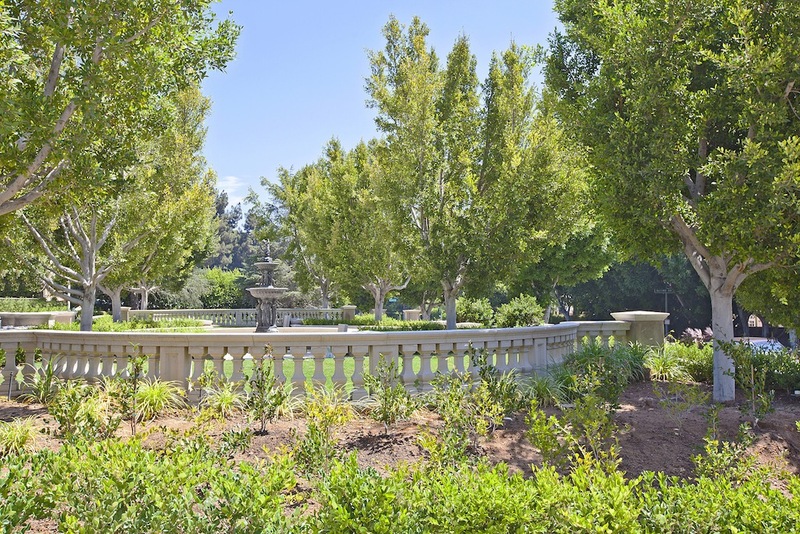 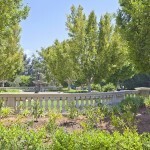 The grounds of this estate are as inspired by aristocratic beauty as the interiors. 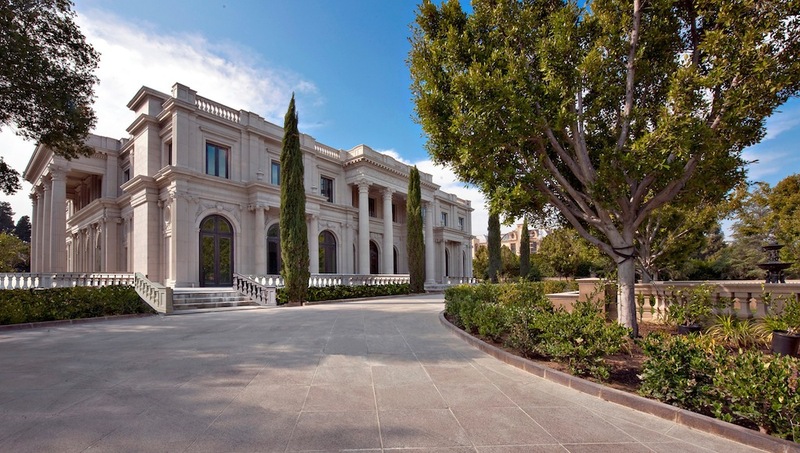 Embraced by lush gardens, the residence offers a pristine sanctuary amid custom bronze fountains, Italian Cypress trees, 15 varieties of fruit trees, a stunning mosaic-lined saline pool, and a pool pavilion that celebrates the iconic architecture found at Hearst Castle. 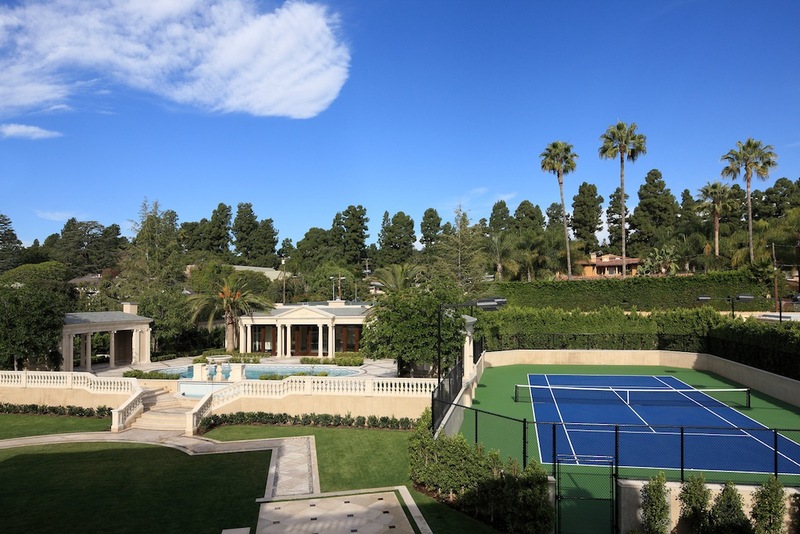 A tournament-sized tennis court, wider than standard courts, is lighted for night play. 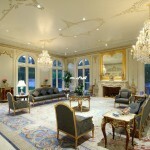 In every aspect of its masterful design and construction, this brand new estate exists as a place of undeniable quality. 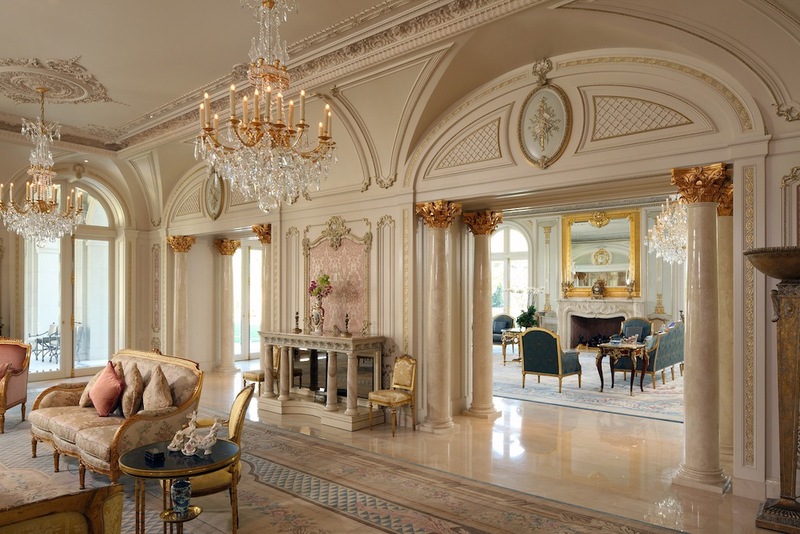 Modern technology and 21st century accoutrements have been subtly integrated into the design of the home, from the brass plated double beveled glass windows to the state-of-the-art cooling, heating, security, and entertainment systems. 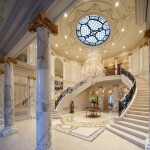 No expense has been spared in this palatial residential estate. 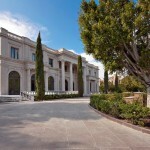 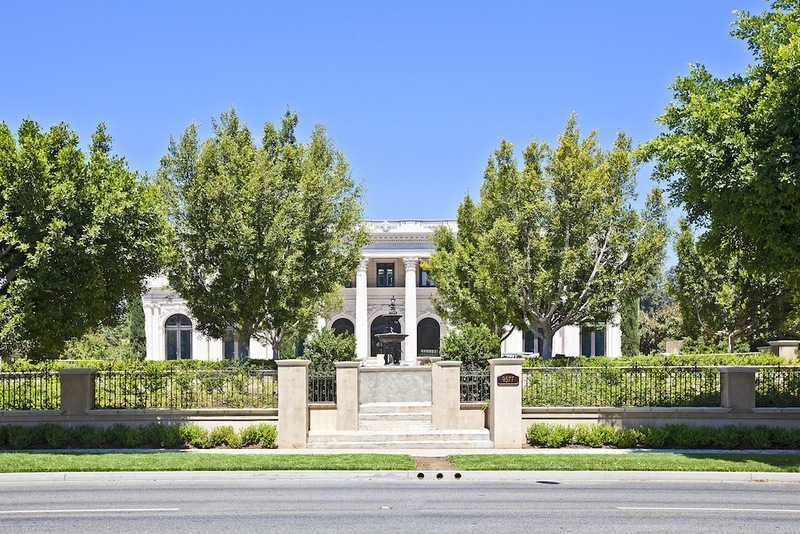 Resting on one of Beverly Hills’ most legendary boulevards, this residence is truly the crème de la crème with 7 spacious bedrooms, 13 baths, an elevator, motor court and subterranean parking for eight vehicles. 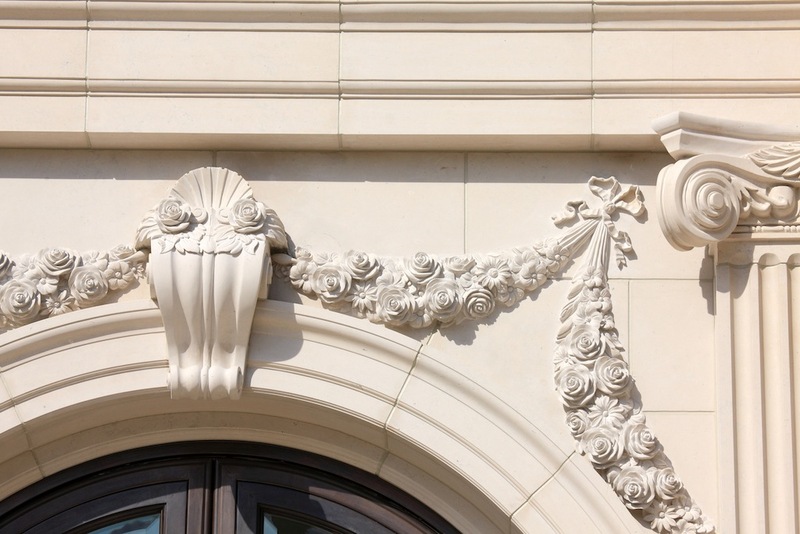 It beckons owners who possess a certain élan and a deep appreciation for rich authentic architecture in a world-class address.